JustMyVoice Production, a small business, is a professional voice-over service and full service audio production company; it's the only place you’ll need to visit for your next professional voice-over recording or audio production. Rich Brennan is a reliable and detail oriented male voice-over talent (from the New York City area) who provides broadcast quality professional voice-overs for commercials, radio voice imaging, narrations, elearning, announcements, audiobooks, on-hold messages and voice prompts. Depending on project size, your audio production can be delivered within 24 hours; often, within the workday. Voiceovers, voice-overs or voice acting (either is acceptable) is hearing a voice and not seeing who's doing the talking. Professional voice-over services are used everywhere; for broadcast and non-broadcast purposes and can entertain, inform, educate, demonstrate and even tell you that 'the person your calling is not available...' - but that's just a small piece of what the professional voice-over service world is all about. 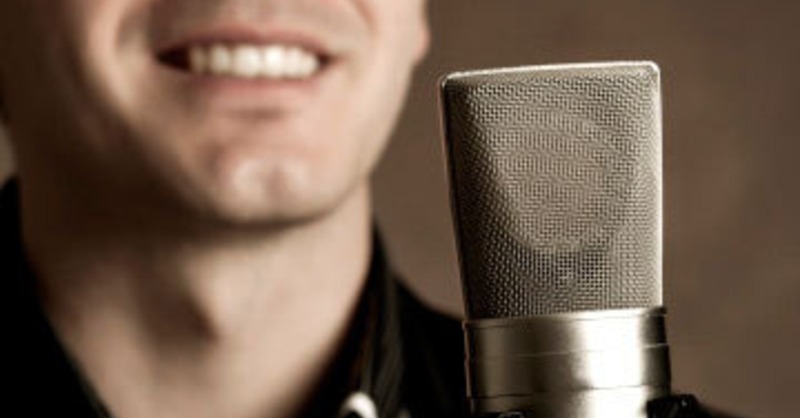 The question is: Which voice can make your message sound the best? That's where JustMyVoice Production comes in. Our mission is to provide you with a broadcast quality professional voice-over, voice recording and/or audio production in the quickest time frame; and at an affordable price. Have a look around the site, listen to the audio samples (on the Demos page) and read the testimonials from our satisfied clients; then contact us so we can get to work on your audio production or professional voice-over. While you're here, sign up for our newsletter; it goes out once a month. So that you're aware of what's going on at JustMyVoice Production. Interested in getting started in a professional voice-over service? Read our blogs: 'Getting Started In Voice-overs'; maybe there's some info that could benefit you. When it comes to recording a professional voice-over the written word is key; without it, there'd be nothing to say. The script sets the tone on how the recording is to be done. When writing for a commercial, for example, there are pieces of information that should be included and knowing how many words make up a :30/:60 commercial is also important. Not sure how to write a script? 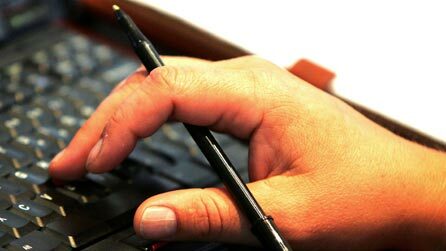 No problem; jot down your ideas and contact us; before you know it you'll have a written script sent for your approval. How would you like your script to sound? The script will give direction as to what tone the professional voice-over should be in to deliver the message. You don't want a monster truck show delivery for a florist, right? Perhaps your script calls for a professional voice-over that's simple (as in a conversation), compassionate; maybe you'd like hear a voice that's authoritative, informative, commanding; or, are you looking to hear the excitement of a rock concert? For male voice-over talent contact us. View the details of our voice narration service. Contact us with your script and we'll record a custom demo FREE of charge. Does the script call for the professional voice over recording to be accompanied by music and/or sound effects? At JustMyVoice Production we have an extensive library of royalty free music and sound effects that will make your voice recording sparkle. Literally, hundreds of digital music beds and thousands of digital sound effects and production elements that your project could benefit from. Contact us for radio commercial production services. Contact us so we can get to work on your audio production.